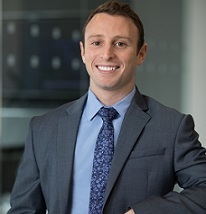 Brian started as an analyst with Bourne Partners in early 2018. Throughout his time at the firm, he has provided support on various M&A deals. Prior to joining the company Brian was an associate at RidgeCrest, a private equity search fund. Brian received a B.S. from Duke University, graduating with Distinction in Economics with a concentration in Finance and a Certificate in Innovation and Entrepreneurship. Outside of work, Brian enjoys playing/watching sports, exploring new restaurants, and traveling around the globe. Brian was also a competitive Irish dancer for 18 years, and ended his competitive career by winning the World Championships in 2017.